What can people do in their communities to be more prepared? People need to be engaged in their own safety and security from disasters. The emergency managers in the local jurisdictions are doing a great job with what they are given. They are usually understaffed and don’t have the manpower to effectively prepare their communities. A civil defense organization is an all-volunteer community-based resource multiplier that takes the lead on educating and training the local population with the EM’s guidance and support. 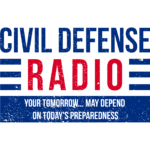 To be better-prepared citizens need to commit not to become a victim by understanding the threats and preparing for the effects of those threats. Basic preparedness should include having a 30-days supply of food in the pantry and/or basement, closet, or wherever; the means to cook if no electricity or natural gas is available; alternative water sources and ways to effectively filter or purify the water of dangerous elements; alternative way of going the bathroom; personal hygiene; heat in the winter and cooling in the summer; get some basic first aid training and have a good first aid kit in the home, car or truck and know how to use the contents. Get involved locally with the C.E.R.T team. If you don’t have one, then push your local political leaders to start one up. Or start up or partner with a community-based civil defense organization. There are ways to do it. I recently spoke with a county emergency manager who has a 50-man CERT team. I told him that was a great start, but what if he had such a team at each of his many dispersed fire stations around the county? He would, in essence, have a civil defense organization that could do a lot for his county. I believe in CERT and suggest everyone get trained in CERT. This is just the beginning though. 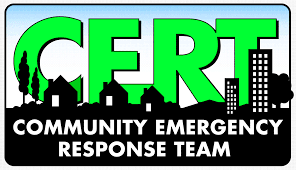 CERT training is legacy training and we need to have people trained in a much wider variety of skills and techniques to really be of service to our communities in a long term emergency situation. A friend of mine is taking over a multi-jurisdictional CERT team and the first thing he plans to do is form a 501(c)(3) so they can receive donations to support their training and equipment needs. He is building the base of a civil defense organization with the CERT team in that area. Posted in Communities and tagged C.E.R.T., CERT, communities.